In two letters released Friday, Attorney General Richard Cordray criticized a number of banks and loan-servicing companies, including Wells Fargo & Co.; Ally Financial Inc.'s GMAC Mortgage; Bank of America Corp.; and J.P. Morgan Chase & Co. Mr. Cordray said the banks are trying to paper over fraud committed in foreclosures with temporary fixes that don't address underlying problems in the banks' practices. "It is not acceptable for a party who believes they submitted false court documents to merely replace those documents. Wells Fargo and any other banks are not simply allowed a 'do-over,' " he wrote in the letter to Wells. The other letter was sent to Ohio judges, who were asked to notify Mr. Cordray when banks file substitute affidavits. He demanded that the banks vacate any court order or motion that was based on improper paperwork. In an interview Friday, Mr. Cordray said the banks would "be well-served to work out a settlement with the borrowers to modify the loans and work out payments." ..."The banks are committing fraud on the court, essentially perjury, and then saying 'Whoops! You caught me! Here's some different evidence and use that instead,' " Mr. Cordray said in an interview Friday. "I know a lot of judges are not going to take kindly to that." ... in a battle of the bands at yesterday's 215,000-strong Rally to Restore Sanity in Washington D.C. In a fascinating ruling released Thursday, the Ontario Court of Appeal held that Ontario Superior Court Justice Victor Paisley erred in ordering, rather than requesting, that the Office of the Children's Lawyer (OCL) investigate and report back to the court with its findings as to the best interests of children in six Ontario family law custody cases. In this wide ranging decision, the appellate court considered the breadth of the Superior Court's inherent parens patriae jurisdiction and the ramifications of Canada's role as a signatory to the UN Convention on the Rights of the Child - all against a backdrop of the OCL's enormous, current caseload. The OCL submits that the Superior Court judge who made the six orders from which appeal is taken exceeded his jurisdiction and erred in invoking the parens patriae jurisdiction of the Superior Court. The Superior Court judge ought to have requested a legal representative pursuant to s. 89(3.1) or a social work report from the OCL pursuant to s. 112 of the CJA and, if that request was refused, asked the OCL to reconsider its refusal or to consider other alternatives. The OCL’s position is further that the Superior Court judge could only invoke the court’s parens patriae jurisdiction to fill a legislative gap which, the OCL submits, does not exist in light of ss. 89(3.1) and 112 of the CJA. Thus, the judge could not order the OCL to act. Even if the court had the power to exercise its parens patriae jurisdiction, the OCL submits that that jurisdiction ought not to be exercised as, to do so, would open the “floodgates” and the OCL would be unable to function properly. At the oral hearing before us, the OCL sought leave to introduce fresh evidence in the form of an affidavit by Ms. Denal Moyal, the Legal Director of the Personal Rights Department and acting Children’s Lawyer at the time. The intervener, Justice for Children and Youth (JFCY) consented to the affidavit being filed as fresh evidence. In her affidavit, Ms. Moyal deposed that between April 1, 2009 and August 25, 2010, the OCL received 5,548 referrals from judges across Ontario. Of those, 1,873 were from the Ontario Court of Justice and 3,673 were from the Ontario Superior Court of Justice. Five hundred and eighty-two of the 5,548 referrals came from judges sitting in Northern Ontario. Sixty-eight per cent of these orders were made by Ontario Court of Justice judges. During this same period, the OCL accepted a total of 3,432 cases across Ontario. Based on this affidavit, the thrust of the OCL’s argument appears to be that if Superior Court judges do have parens patriae jurisdiction and exercise it in the manner the Superior Court judge has done in these cases, the OCL would be ordered to act in so many cases that it would no longer be able to meet the requests made by Ontario Court of Justice judges, (who do not have parens patriae jurisdiction) particularly those in Northern Ontario. These appeals did not require the court to engage in a theoretical discussion about whether the Superior Court’s parens patriae power could be used to order the OCL to act. Assuming, without deciding, that Superior Court judges can, in the appropriate circumstances, exercise their parens patriae jurisdiction to order the OCL to act, that jurisdiction ought not to have been exercised in these six appeals. The Superior Court judge ought to have respected the structure of ss. 89 (3.1) and 112 in the CJA, which give the OCL discretion in considering requests for their involvement. He ought not to have circumvented the existing statutory structure for engaging the OCL. Prior to exercising his parens patriae jurisdiction to make an order, it was incumbent on the Superior Court judge to consider and avail himself of the other available avenues for assistance that were responsive to the specific factual problems before him. Accordingly, I would allow the appeals in the manner indicated. At root, this ruling casts a spotlight on but one of the many crunches on access to justice now occurring in Ontario's adversarial system of adjudicating family law disputes. Privately-conducted assessments of children's best interests, typically performed by clinical psychologists, psychiatrists or social workers and often costing $10,000.00 to $15,000.00 or more, are simply unaffordable to most Ontarians. Nonetheless, family law judges often require such objective, professional input when determining child custody and access disputes. The OCL has long operated as a next-best substitute for such private assessments. In an era of fiscal restraint, however, it simply cannot keep up with the demand. In such a climate, the OCL - institutionally - must have some means of conducting triage. This is a practical reality. Can one reasonably conclude, however, that the OCL, relying largely on self-serving "Intake Forms" prepared by parents and counsel, is better equipped than judges to operate as preliminary gatekeeper for its services? In fairness, that is where the legislation points. The Court of Appeal's ruling confirms what family law practitioners in the Province have long known. Our system leaves a vacuum that limits the availability of clinical input in some child custody disputes, even where judges find that it is required, based on the evidence before them . Could a directional shift toward mandatory family law mediation in Ontario, as recently advocated by Ontario's Chief Justice, Warren Winker, be at least a part of a solution? Mandatory family law mediation, with its laudible focus on conflict de-escalation from the outset, may ultimately prove to be the most effective "triage" mechanism of all. 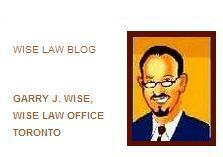 Each week at Wise Law Blog, we review the week's decisions from the Ontario Court of Appeal. Amato v. Pesek. An appeal on a personal injury case, where the appellants' primary complaint was about the conduct of the judge, who asked questions of a witness that the appellants argued were designed to enhance the complainant's credibility. The Court of Appeal disagreed, finding that the judge's questions were "non-leading in nature and largely non-confrontational." The Court also noted that defence counsel did not object to the judge's questions while they were being made and that at other times defence counsel had not been reticent about objection. Lesson to take from this case: if you think you're going to pursue an appeal based on judicial impropriety, make sure you lay your groundwork early. Read-the-whole-case rating (out of 5): 2. 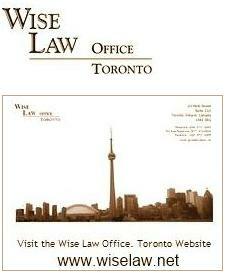 Echo Energy Canada v. Lenczner Slaght Royce Griffin LLP. A lengthy appeal about legal billing where the appellant client sued Lenczner Slaght Royce Griffin, Voorheis and Co. LLP (hired by Lenzcner Slaght) and McCarthy Tétrault LLP, accusing them of spending recklessly on the appellant's behalf. Echo Energy had retained the firms prior to a changeup of the Board of Directors, where individuals whose opposition to the previous Board regime could be described as "contentious" took control of the Board. They then sued the law firms, which had been retained to defend against lawsuits launched by those individuals. The trial judge was equally unimpressed with all members of the Board and suggested that sophisticated businessmen should expect that hiring large Toronto corporate law firms would result in large legal bills, finding for the defendant firms. At appeal, the OCA reversed the decision with respect to Lenczner Slaght and Voorheis (hired by Lenczner Slaght) but not with respect to McCarthys, stating that the trial judge had improperly considered the situation from a lawyer-centric position rather than a client-centric one, and that there was evidence that the previous Board regime had both spent profligately on legal counsel in an attempt to maintain control and had not adequately supervised the spending of counsel. The fact that Lenczner Slaght's retainer agreement did not cover all of the work they did for the firm - and that Voorheis worked without retainer - also led to the OCA's reversal of the decision. Read-the-whole-case rating: 4 if you work in corporate law or otherwise have an interest in billing issues, 2 if not. Peterborough (City) v. Kawartha Native Housing Society. The Housing Society is a corporation created by the provincial government for the purpose of operating affordable rental housing for the Aboriginal community. It was subsequently ordered into receivership after an application by the Ministry of Housing, which alleged that the corporation was in breach of its operating agreement. The Society retained counsel fter the order was made, both to contest an extension of the order and, as well, to provide general corporate legal advice. When the Society claimed legal costs, the trial judge found that based on the operating agreement of the Society, it had no right to retain counsel, and that ultimately the counsel were operating in the best interests of the Board of Directors, rather than the interests of the corporation itself. The trial judge allowed $15,000 in costs, nonetheless, on the basis of fairness - a little less than one-fifth of the Society's total legal costs. The OCA disagreed with the trial judge, stating that nothing in the operating agreement prevented the Society from retaining counsel, and that only an interpretation of that agreement allowed the argument that counsel were operating for the Board rather than for the corporation (noting that counsel had been helpful and cooperative throughout the litigation process). He reversed the decision, allowing the Society to seek costs. Read-the-whole-case rating: 2.5. R. v. Jeanvenne. An appeal on a double murder where the appellant defendant wanted the two murders with which he was charged severed iand tried as two separate criminal actions. The two murders occured 17 years apart and were wildly disparate: the earlier was characterized as an "assisted suicide" (albeit with a shotgun); the latter was a violent killing involving 18 stab wounds and a shooting. The trial judge refused to sever the two charges and Mr. Jeanvenne was convicted on both counts. Chinatown grocer, David Chen was acquitted today in a Toronto court on all criminal charges against him. The retailer was charged with assault and forcible confinement after his May 2009 "citizen's arrest" of an admitted shoplifter who had repeatedly returned to steal goods from Mr. Chen's downtown Toronto supermarket. The judge in the case ruled that the hour delay did not constitute two separate thefts, but one continuous attempt to steal. However, Justice Ramez Khawly also said there were problems with the testimony given by Chen and his co-accused, saying their statements appeared to contain many omissions, and it was difficult to find a reasonable chain of events. While many cheered Mr. Chen's acquittal as a folk-hero's vindication, of sorts, at least one Toronto Star writer has a totally different take: Dimanno: Just what did that grocer plan to do with his shoplifter? From all of us here at Wise Law Office, we wish you a very spooky Halloween! A Brazilian court ruled this week that McDonald's must pay a former franchise manager $17,500 because he gained 65 pounds while working there for a dozen years. The 32-year-old man said he felt forced to sample the food each day to ensure quality standards remained high, because McDonald's hired "mystery clients" to randomly visit restaurants and report on the food, service and cleanliness. In a previous post, we discussed Section 54 of the Employment Standard Act, which prohibits an employer from terminating employment without cause unless the employer provides written notice of termination or alternatively, pays specified wages in lieu of such notice. We also noted, however, that section 55 permits of some exceptions to this rule, one of which is where the employee is engaged in "wilful misconduct" that is not condoned by the employer. In it ruling in Applicant v. Faduma Abdi and Director of Employment Standards, the Ontario Labour Relations Board makes it plain that a finding that an employee is guilty of "wilful misconduct" requires a solid evidentiary foundation and will never be made lightly. In Abdi, there was a verbal dispute between an employee, Ms. Abdi, and her immediate supervisor, Mr. McCaw, as to whether he had given her prior approval to alter her regular work schedule on a certain day. The company conducted no investigation after Mr. McCaw’s revelation to Ms. Fleury. No one asked for Ms. Abdi’s side of the story before the decision to terminate her was taken and communicated to her. She was not even afforded an opportunity to speak prior to being told by Ms. Lalonde that she was dismissed. The termination letter’s message to Ms. Abdi is clear: She was not entitled to termination pay (or any other compensation) because, despite all previous discipline, she consciously decided to alter her work schedule without approval. The company arrived at its conclusion of deliberate misconduct based solely on Mr. McCaw’s assertion that Ms. Abdi swiped her card at 7:30 a.m. Ms. Abdi testified unequivocally that Ms. McCaw had given her permission to commence her shift early on the day in question. Mr. McCaw chose not to testify as to whether he had given Ms. Abdi the authorization to reschedule her shift. As such, the employer could not avoid its obligation to pay Ms. Abdi the termination pay to which she was entitled under the Employment Standards Act. A company must fully investigate allegations of misconduct where it intends to rely on those allegations as grounds wiful misconduct justifying termination without notice. ...You can read Judge Leighton's full order here. It is widely reputed that lawyers have a collective inclination to take the fun out of just about everything. So why should your All Hallows Eve revelry be immune? It is in this spirit that I must caution you. There may be grave intellectual property dangers lurking just beneath the surface. So before you get all dressed to kill in an unlicensed mask or costume, chill... and take a moment to bone up on the law. See Plagiarism Today's Five Copyright Issues for Halloween. A lawyer, a priest, and a rabbi walk into a bar. The bartender says: "Is this some kind of a joke?" THE PRESIDENT: I thank you guys for coming in. Obviously a huge part of my base reads you guys, cares about what you do. The staff does as well. I think that what the blogosphere has done is to create a conversation that encourages activism across our citizenry, and I think that’s absolutely crucial. We benefit from the constructive feedback and criticism that we get, and it helps hold us accountable. But you guys obviously have also done a great job holding the mainstream press accountable, and that’s really important to us. So I’m glad that I’ve got time to sit down with you guys. This is completely open, so you guys can take it wherever you want. And what I’ll do is I’ll just go down the line, everybody gets a question, and then we can just mix it up. How does that sound? Also attending were Joe Sudbay of AMERICABlog, Barbara Morrill (aka BarbinMD) from DailyKos, John Amato from Crooks & Liars and Oliver Willis from OliverWillis.com. I guess that pretty much sums up most of the who's who of U.S. progressive bloggers (although the absences of Digby and Glenn Greenwald were hard not to notice). It also underlines the huge influence these leading, new media writers have in the American political sphere. If nothing else, their collective success has provided a model that Canada's own Progressive Blogger movement could likely emulate and adapt with comparable success. 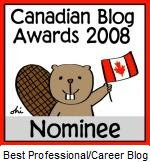 The splintering of Canada's progressive bloggers among the Liberal, NDP and Green parties notwithstanding, there remains much to be learned from our well-oiled and organized US counterparts.